After Age of Ultron, I did a post on the rest of the Marvel Cinematic Universe. Where would it go, what would we see? What would the movies consist of? If Civil War is anything to go by, every film from now on has the potential to be an Avengers movie, so I should probably do another one. It goes without saying that everything from here on out is going to have spoilers for the franchise to date. If you've seen Civil War, the only spoilers will be speculation that I might get right. Also, perhaps some comic book spoilers. If you don't want spoilers, STOP NOW. Now then, where were we....? After Civil War, I am curious about how much the future films will be Avengers tie-ins. Especially the Black Panther movie. But we'll get to that. As we've seen in the previous films, the Infinity Gems have been the major MacGuffin devices in the series. The Tesseract / Cosmic Cube was the main plot device in Captain America and The Avengers. The "mind gem" was in Loki's staff in The Avengers, and was responsible for Ultron. The "Aether" of Thor: The Dark World turns into a third. And Guardians of the Galaxy was driven by a fourth (held on the planet of the Nova corps). For the record, there are two others out there. And there's a reason Why Avengers 3 is Infinity War, part one and two. Phase 3 will be all about the build up to Avengers: Infinity War. Why? Because it has to. To this point, the villain, Thanos, has been a background character in only three films: Avengers, Guardians of the Galaxy, Age of Ultron, and that's about it. Thanos is supposed to be the villain behind everything since Avengers ... okay, not everything, he's not Moriarty, but still, he provided Loki an army, unleashed a crazed Kree on the universe, and .... he showed up for a second after the credits of Age of Ultron. That's it. On screen, we know nothing about his character, his goals, or why he wants the gems. From now on, Thanos has to appear in several of the upcoming films. Must. Why? Because by the time Inifinity War comes up, we will have been building towards him for a decade. (Iron Man came out in 2008). 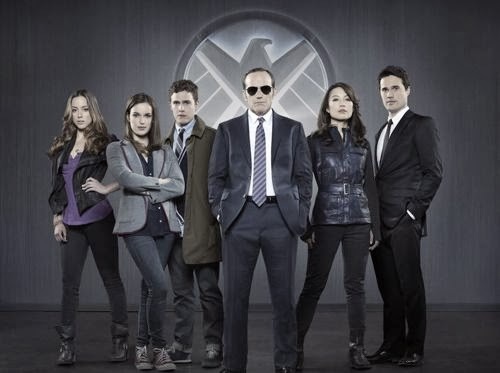 If you're wondering what happened to the Inhumans movie, Agents of SHIELD happened, that's what. 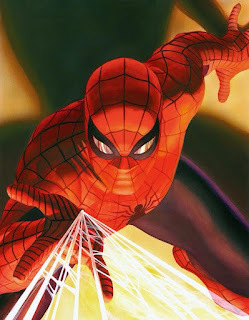 And yes, Spider-Man, even though he's shared by Sony, will be part of the MCU from here on in. We'll also know that there are two Infinity gems left in play. Civil War split the Avengers team right down the middle. In fact, odds are that Captain America won't be seen again in any film until 2018, because he and his people will be on the run. Bucky's on ice. Hawkeye will probably go back to retirement. Ant-Man is a fugitive on a good day anyway. In short, none of these people will be able to pop their heads up without getting it shot off. Now imagine what happens when Avengers comes up again. That's a lot for them to overcome, considering the events of Civil War. Because trust me, what I know of Thanos, and the Infinity Gems, they're going to need all hands on deck. And then they'll need even more. 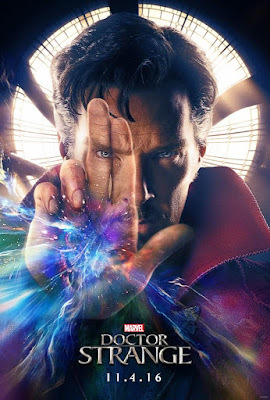 With the infinity gems, supposition is that one of them is the "Eye of Agamotto," a talisman that Doctor Strange uses. He'll have #5 of 6. Other data is TBD. I suspect there will be little tie-in to the rest of the series, outside of having an infinity gem. We're now at the point where Thanos must be explored as a character. Why? Because this is the Marvel Cosmic Universe, where Thanos mainly exists. And if Thanos isn't brought in at this point, well, he's barely been in this franchise. Despite his appearances, even in Ultron, all he's done has been to back Loki in Avengers and the Kree in Guardians. He's had a handful of lines in the three films we've seen him in. If he's had a full page of dialogue, I'd be surprised. At best, he's a consulting supervillain. GotG 2 would give him his moment to shine, and show off just how much of a badass he is.... Oh, hell, one of the last lines in the GotG movie was about Thanos. We should at least get a CV on this guy. Personally, I think at least part of the plot should have Thanos attacking the Nova Corps to get the MacGuffin gem from GotG, if not getting his hands on gem #6. However, if they're following the original 1991 Infinity Gauntlet storyline, I expect a man named Adam Warlock to appear here. Then they're really going to get strange ... Stranger, anyway. ... Pass. I have nothing. Seriously, how is Spider-Man going to have something that impacts the MCU? Beuller? Beuller? Short version is that this will be a thorough introduction film, without any origin story. Thank God. That's the best part about Civil War -- Spider-Man will have already been invented. I don't have to see yet another Uncle Ben die. And they've done their best to avoid the line "With Great Power comes great responsibility." We'll have to see what happens. Dollars to doughnuts, Thor: Ragnarok will serve the same purpose as Civil War did. It's going to start moving players off of the chess board. It'll at least be something else to overcome for Avengers: Infinity War. Because not only will this have Thor, it will also have Bruce Banner in the cast. Yes, I know Natalie Portman won't be back for the next film, and honestly, who needs her? When We last saw Thor fly off, he was going to investigate his visions in Age of Ultron, with the potential end of Asgard and the Infinity Gems. Honestly, where would Jane Foster fit in all this? Where would Bruce Banner fit? Easy. The "Tesseract" (the Cosmic Cube of the comics) emitted gamma radiation (Avengers), so expect the other gems to have something similar. I suspect that part of Ragnarok will, in some instance, feature Thanos. Let's face it, right now, the Tesseract is being sheltered in Asgard. In fact, last time we saw the Infinity Gauntlet (the user interface for all six Infinity Gems), it was in the vaults of Asgard. Thanos has to get his hands on it somehow. This means that Ragnarok will either have Thanos attacking Asgard, or will have Thanos in a final, post-credit scene in which he goes through the wreckage of Asgard, coming up with the gauntlet, and probably the Tesseract. One way or the other, Thanos should end up with the Cosmic Rubix Cube, and we should see Asgard falling apart under the rule of fake-Odin. 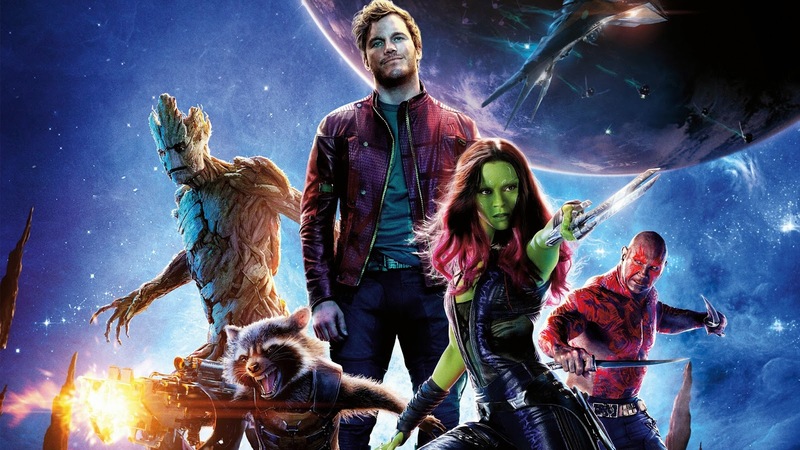 If GotG 2 just talks about Thanos, this must be the movie that shows off what a threat level he truly is. If an entire civilization of aliens who are all on the level of Thor are going to get trounced by Thanos, what hope does everyone else in the universe have? This will be ... interesting, depending on how they want to play it. Option 1: Civil War 1.5. Large chunks of Captain America's Avenger team (Secret Avengers, if you will) are hiding out in Wakanda. Since Wakanda is basically an entire country running on Stark-level technology, anyone who wants to get their hands on it will want a piece. This could be Hydra, AIM, or any other sinister organization. Option 1a: People discover Bucky, on ice, in Wakanda. Option 2: This has nothing whatsoever to do with Civil War, and will involve T'Challa dealing with people a) stealing Wakandan technology or b) peddling Wakandan tech on the black market. Expect to see Andy Serkis' character from Age of Ultron make an appearance. Probably with a cybernetic hand. After all, Serkis' character was a Mister Klaue (pronounced "Claw"). Insert your own joke here. My money is on some variation on #2. If Serkis isn't in the film at all, I'll be a little disappointed. 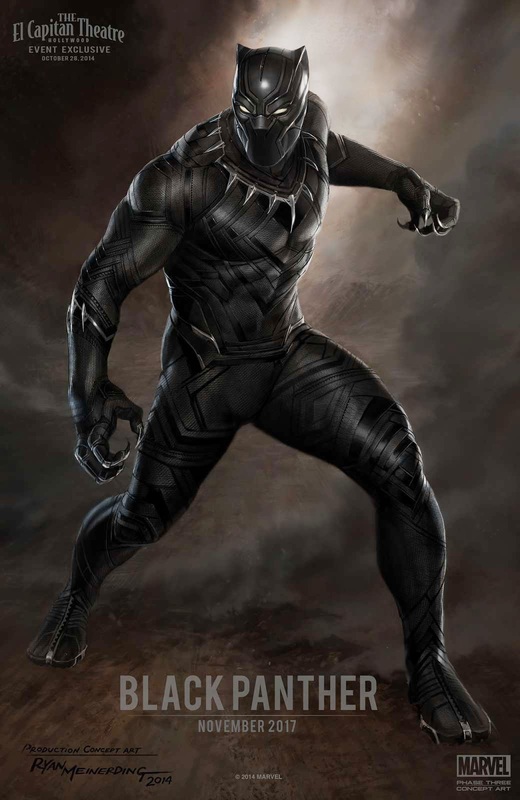 Option #3 (a joke post): Black Panther moves to Hell's Kitchen to take over for Charlie Cox's Daredevil. ..... BWAHAHAHAAHAHAHAHAHAHAHHA. It'll never happen. Possibly this might have Infinity Gem #6. 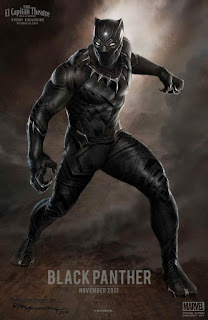 Because let's face it, Wakanda has to run on something as a power source. If my previous guesses are correct, by the time this film opens, Thanos will have 2 out of the 6 gems. This should either bring Thanos to Earth, or he should be on his way by then. We know that Earth has the Mind Gem with Vision. If we're right about Doctor Strange, he's also got a gem. If Thanos wants to collect the whole set, he has to go through the wielder of at least one, if not two gems. As I said last time, the bulk of this movie will be picking up the pieces of Civil War, bringing everyone back on board, bringing Stephen Strange into the Avengers (whatever may or may not be left of them). Expect the last scene of the movie to have a money shot of every last superhero mentioned above gathered in one space with the obligatory "Let's get to work" or even, maybe,just maybe, "Avengers, ASSEMBLE!" Yes, that would be one crowded room. If I took Marvel seriously when they insisted that Coulson would be back for Avengers 3, right after "Avengers Assemble," Coulson should appear out of nowhere and answer "Whatever you say Captain." But I don't have have that much confidence in them. In short: this one should open with Thor crashing into Earth after Ragnarok (assuming he hasn't been blasted into another plane of existence by then), and playing Paul Revere: Thanos is coming, Thanos is coming! It's time to mount up. At the end of the day, part one will be about getting the band back together. The Russo brothers (in charge of the franchise right now) have already said that more characters will be coming in with this one. That would make a certain level of sense. Will this feature Ant-Man on the run? No idea. Seriously, no idea. Though Scott Lang has been a fugitive so long, being wanted by the government might not be a deterrent. But the fact that this sequel takes place in between films makes me think that, no, Thanos will not be on Earth by the end of Infinity War Part I. Otherwise, nothing else would be going on. Scott Lang will probably be off doing something else of minimal importance in the middle of all of this. No, Ant-Man doesn't impress me. Civil War was the first time I really liked him. Though the end of this one will probably be an Avenger knocking on his door saying "Suit up. We have work to do." Captain Marvel, Carol Danvers is, essentially, an Inhuman (as seen on Agents of SHIELD) an alien weapons program that tried to turn other races into living weapons of death. In the AoS franchise, the official Inhumans license is due to the Kree ... in the comic books, the Skrulls created Captain Marvel, but we haven't seen the Skrulls, yet (or we have seen them, as the Chitauri, depending on who you listen to). This can go a few ways. The film can start with Carol Danvers being abducted by aliens to be experimented upon, and the powers she's given cause her to break loose and wreak havoc upon her captors as she fights her way back to Earth, thereby causing another uniting factor between Marvel Earth and Marvel Cosmic. 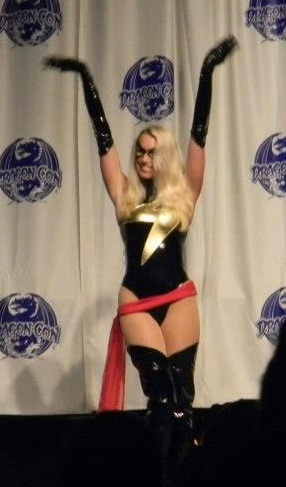 .... or she can be a bit player freed by the Guardians of the Galaxy in their sequel. Which may work. Maybe. Otherwise, if the GotG aren't already in Infinity War part 1, I will lay money, right here, right now, that Carol Danvers will be broken out, or given a ride home (in a post-credit scene), by the Guardians. Because this is another way to bring this particular band of misfits to Earth. Welcome to the End of All Things. This should be the biggest, baddest, most epic shootout ever. I'm not sure if it's going to be (1) the Avengers in a beat-the-clock chase to collect all the Infinity Gems before Thanos can get them, or (2) if it's them defending the last gem, or (3) if it's "Thanos has all the gems, and the gauntlet, and we're screwed." If it's #3, expect casualties. A lot of them. In fact, this might be their excuse to start recasting certain actors (like Robert Downey Jr., who is both awesome, and getting too old for this, and probably reaching 8 Marvel films by this point, if not more). Originally, I thought that the Infinity War #1 could end with Thanos getting his hands on the final infinity gem. Except here's the problem. I've read the script ... okay, I read the original comic book. Why will this be "bad" if Thanos has all of the gems? Think about it: Any one of these gems seen thus far can destroy a planet, if not the universe. Now collect all six. Yeah. It will be bad for our heroes. Unless someone can trick Thanos into being very, very stupid. 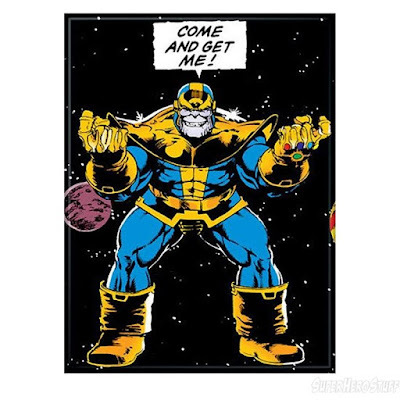 In the comic, when Thanos had all six gems, he won. Against everybody. And then he did something truly stupid. Obviously, the people who have gems will feature heavily in this one. In Civil War, Vision wanted to master the gem he wears. Expect Vision to master his gem here. Really master it. Also expect Doctor Strange to feature heavily. He'll be on Thor-level power by then. Also? Both of those might not be enough. If they're lucky, this battle will take place in outer space, and not on Earth. If it takes place on Earth, let's hope it takes place in Nevada, or the Sahara, or some other location that doesn't have a lot of people. Also, remember all of the street-level fighting that happened in The Avengers? If the Russos really want to play ball with every character ever, then we should have NetFlix meet up with The Avengers. Especially since The Defenders show up the year before -- with Daredevil, Jessica Jones, Iron Fist, et al. They should be dealing with the street-level, "Save the civilians" work while the heavy hitters try to stop the threat. However, given how little interaction there has been, I'm not holding my breath. If done well, this will be epic, with each Infinity War film being 3 hours or so. If done poorly, expect a train wreck. But after Civil War, my money is on epic. Who cares? We'll see if it even happens. Agents of SHIELD will have probably killed that franchise possibility, especially since the ratings keep dropping each season. And let's face it, after the Agents of SHIELD and Infinity War, who will give a damn? And that's ... all the guesswork I can come up with. Midnight's edge has a lot of good stuff on the sony/marvel ordeal with spiderman. Did you know that Universal studios has the distribution rights to a solo Hulk movie? So Marvel doesn't want to put out a Hulk feature vehicle again, hence him teaming up with Thor in what a lot of people are betting will also be a Planet Hulk movie in addition to Ragnarok. Also wasn't the last time we saw the Infinity Gauntlet in the post credits sequence of Avengers 2 where Thanos picks it up? I like the thought of Spiderman, Ant-man and Black Panther having "breather movies" in this whole mess. Though I think the real hindrance to ALL the MCU coming together and interaction is the one power greater than any infinity gem: Hollywood contracts and unions. Yes, we saw it in Age of Ultron. Though, as we saw with the end of Ant-Man, they have no problem playing with space and time in the post-credit scenes. And we didn't know it's location. I haven't seen Daredevil Season 2 yet, so I don't know where the Punisher would be. You forgot the power of greed. Fox's death grip on F4 was one problem, and probably with the X-franchise as well. I dunno. It's gonna feel like a bit of a rip off if we can't get the Netflix series in on this. AoS is one thing, but not the series people actually like. Quick. Someone beat up Jeph Loeb. The Russo brothers have already gone on record as stating that Infinity War: Part 1 is basically Thanos collecting all the gems and Part 2 will more closely resemble the actual "Infinity Gauntlet" series. Recall that that series back in the day started with Thanos already possessing the entire collection. There was a separate series (Thanos' War) that chronicled him actually getting them. I recalled Thanos collecting all of them. Yikes. This is going to be a mess. Then again, if they tone DOWN the power of the gems so that space and time aren't his to command and control as badly as in the comic, they might have a fighting chance. Unless they're going to have some really fancy footwork going on.